Sheraton Hotels & Resorts have designated Sheraton Salzburg Hotel as a Sheraton Grand, welcoming it to the brand’s premier tier of hotels recognised for their enticing destinations, distinguished designs, and excellence in service and guest experiences. Having just completed a comprehensive, five year top-to-bottom renovation, the Sheraton Grand Salzburg joins a portfolio of 34 other Sheraton Grand properties worldwide, with destinations ranging from Istanbul and Dubai, to Beijing and beyond. Sheraton Grand is one of many initiatives currently underway as part of Starwood’s comprehensive plan to solidify Sheraton as a leading global hotel brand of choice, everywhere. “As Starwood’s largest and most global brand, we remain focused on our work to keep Sheraton in the spotlight through the continued growth and halo effect of Sheraton Grand,” said Michael Wale, president, Starwood Hotels & Resorts, Europe, Africa and Middle East. 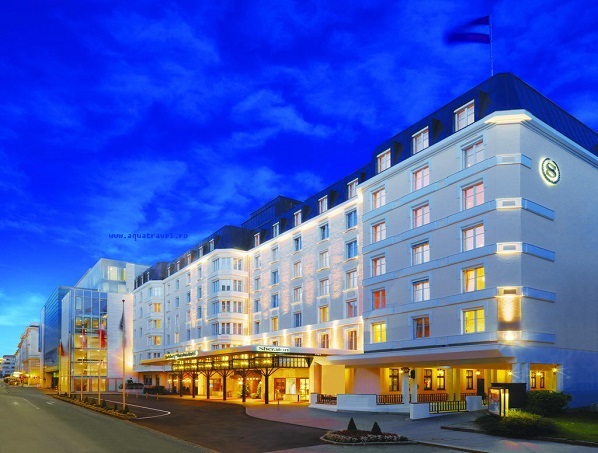 The refreshed Sheraton Grand Salzburg combines contemporary touches with traditional Salzburg design. The hotel has added 29 new rooms and suites, and carefully restored the entire sixth floor with tech-enhanced furnishings and premium materials, such as oiled oak floors and bespoke wooden furniture from Tyrol. The minimalistic design concept of the rooms is harmoniously complemented by small details, such as the selection of black and white pictures depicting historical Salzburg scenes. “We are proud to receive the Sheraton Grand designation, enabling Sheraton Grand Salzburg to join the existing roster of esteemed hotels and resorts worldwide,” said Herbert Mosbruck, general manager, Sheraton Grand Salzburg.